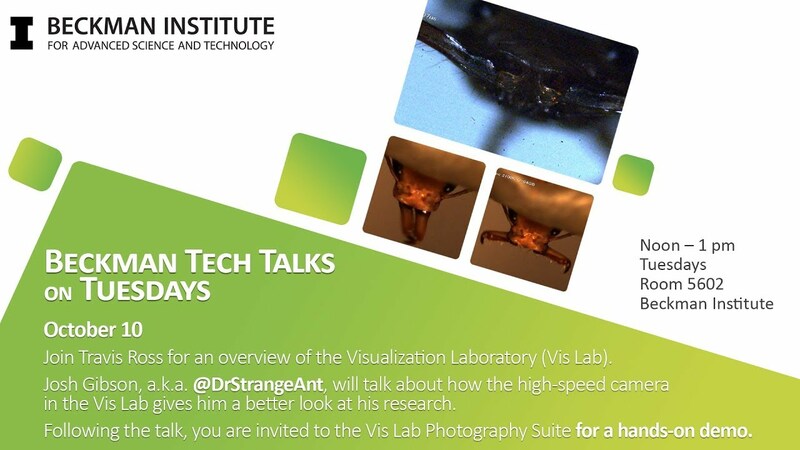 The monthly TechTalk on Tuesdays series highlights the Beckman shared research facilities, BIC, Microscopy Suite, and the Visualization Lab. Find information here about the diverse technologies and powerful capabilities these facilities have to offer your research. All talks held at noon in Room 5602 Beckman Institute unless otherwise noted. Human Brain Stiffness: From Cognitive Neuroscience to the Clinic. Aaron Anderson, graduate student, theoretical and applied mechanics; Hillary Schwarb, visiting research scientist, Biomedical Imaging Center; and Dr. Graham Huesmann, Beckman research assistant professor in molecular and integrative physiology, and neuroscience; Carle Illinois College of Medicine faculty; and neurologist at Carle Foundation Hospital. X-Ray Vision: Introduction to Non-Destructive 3D Microscopy. Aya Takase, a senior scientist for the Rigaku Americas Corp.
3D Volumetric Data to Finite Element Analysis: Applications in Musculoskeletal Biomechanics Using the Beckman Vis Lab. Seeing is Believing? Practical in vivo Optical Imaging at the Biomedical Imaging Center. 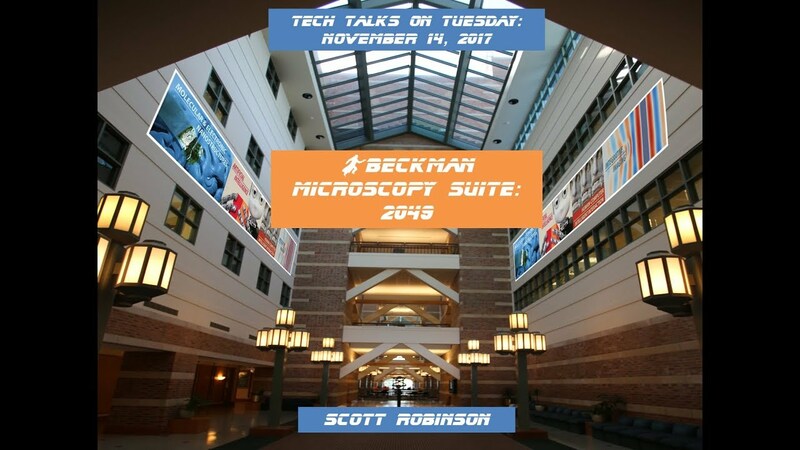 Learn about the future of the Beckman Institute Microscopy Suite.